Aaron Quine drives his #69 TA2 Chevy Camaro in the SCCA Pro Trans-Am series as a member of the ECC Motorsports team. Quine, a longtime racer and Akron, OH native, has piloted the Howe Racing Gen V Z28 Camaro since 2015. The car build was completed over five months. Working with crew members Bill Pristas, Al Gaudino, John Luczyk, and Jerry Werner, Quine describes it as an “easy build” with typical fabrication work to get the car race-ready. 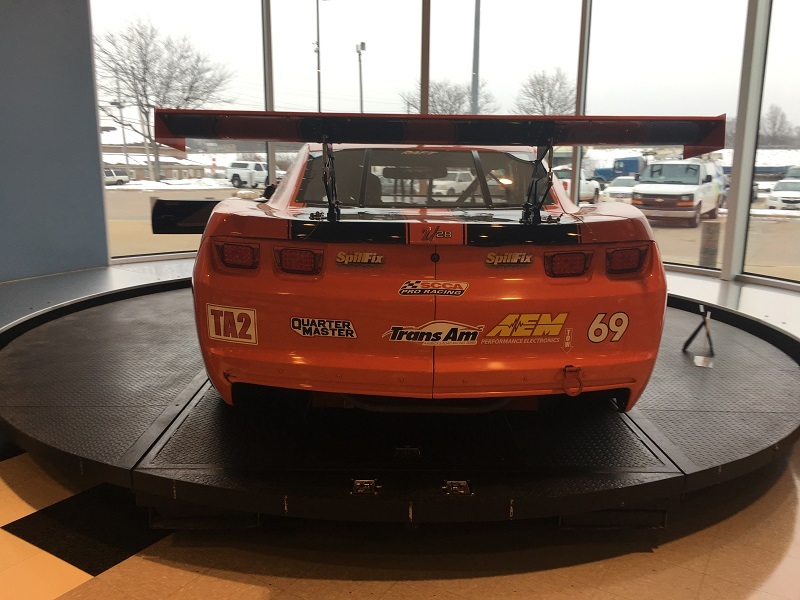 “We’re extremely happy with the Howe Racing chassis and body,” he said. Quine takes particular pleasure in the car’s Ohio connections, including the Hawk Performance brake pads and rotors made in Solon, OH. 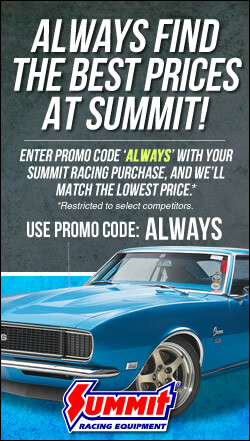 Quine chose Summit Racing 2-Stage Huggin’ Orange and Jet Black paint to honor the colors available on the 1969 Z28 Camaro. Mongoose Motorsports of Ravenna, OH handled the painting duties. Under the car’s stunning exterior, a Katech 378 c.i.d. LS3 engine produces 625 horsepower. 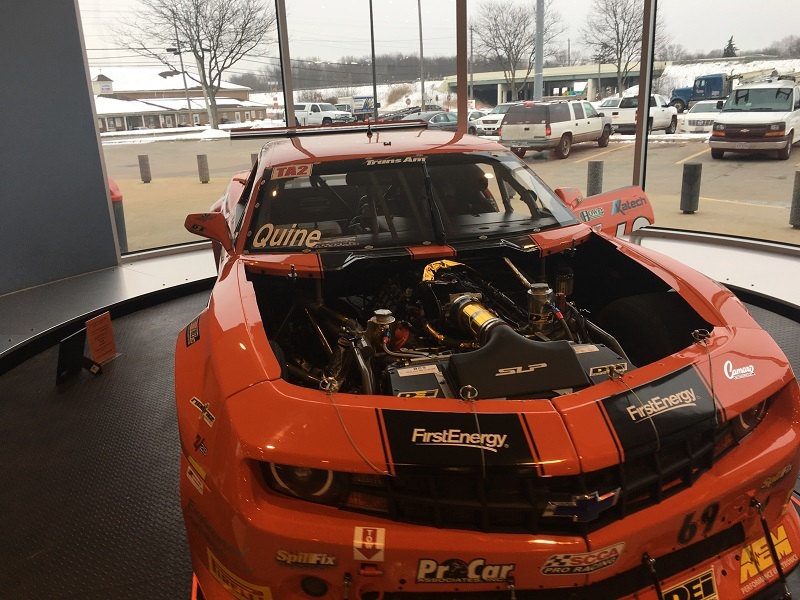 That engine propelled Quine to a best top speed of 186 mph at Daytona, and will insure Quine stays competitive when the 2019 Trans-Am series kicks off in March. “My goals are to find sponsorship help to run for a full season and go for the championship,” he said. Quine has amassed his share of pole positions, victories, and championships over a 29-year career. 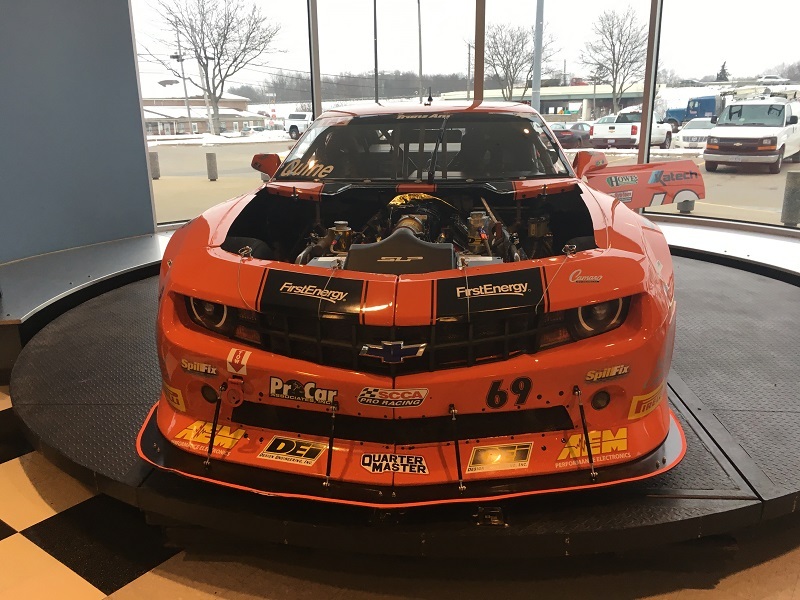 Last May he drove the Camaro to a first-place finish at Pittsburgh International Race Complex, eclipsing the track record by more than 1.5 seconds. Quine also teaches aspiring drivers—and occasionally racing’s elite—as an instructor at the Mid-Ohio Driving School. 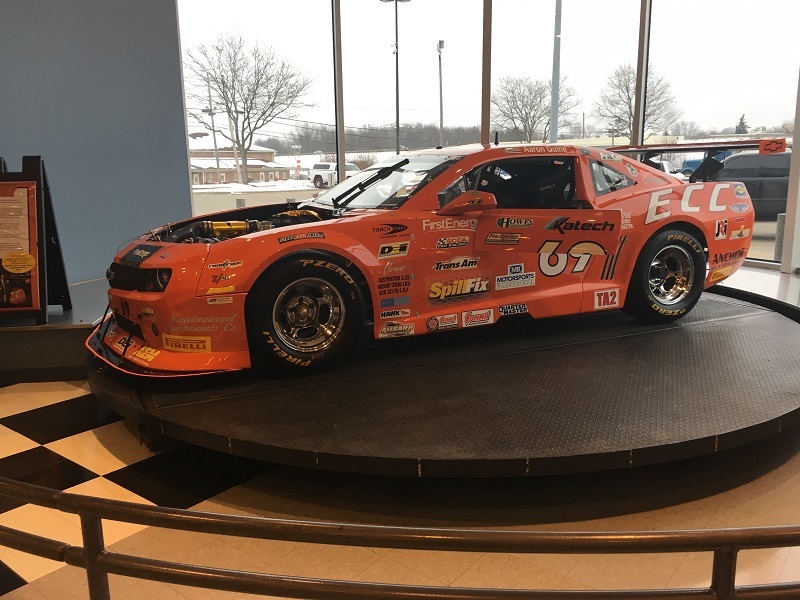 Quine’s Camaro is currently on display at the Summit Racing retail store in Tallmadge, OH. Graphics by Fastsigns of Medina, OH. 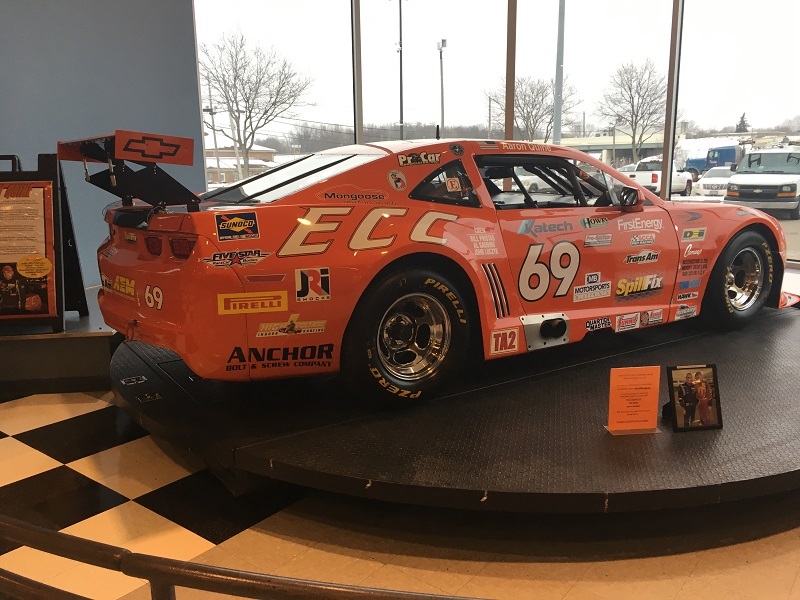 “ECC Motorsports—They provide parts and engineering support at all the tracks I go to,” Quine said. Considering the handling and braking performance of the gen 5 Camaro the Can Am car required a new rolling chassis and fiberglass body. CanAm originally was a series for the showroom,factory, pony cars. I wish they would bring it back to it’s roots. Yes and Trans Am was for FIA Group 7 cars Like McLaren, Porche 917, Lola and Shadow. It attracted drivers from all over the world but was never as big a crowd drawer as Can Am. Right.